Those pesky fruit flies in the bar area can be a real problem sometimes. The good news is that there are a few options out there that can prevent these pests from invading your drinks. Paper cups are an inexpensive option, but they are unsightly. 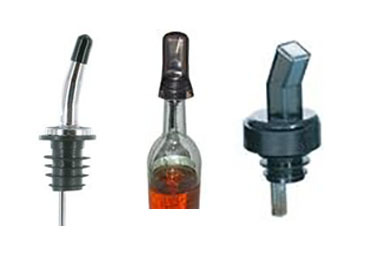 Luckily, companies such as Spill-Stop and Co-Rect offer a great selection of caps and covers for pourers that will keep both dust and pests out. They also offer “screen topped” pourers that allow you to pour liquor out, but don’t allow insects to crawl in. These are great products and form a great first line of defense against fruit flies. They are necessary to protect your investment and keep your customers safe. Another great product just introduced by the Bar Maid Corporation is a fruit fly trap called Fly-Bye. Many pest sprays and hanging strips are labeled “not for use in foodservice establishments” because they leave behind dead insects and harmful chemicals. Not the Fly-Bye. It traps and contains fruit flies using a non-toxic, food-grade attractant that is safe for use in commercial bars and restaurants. Simply discard and replace the Fly-Bye every 30 days for continued protection. At last, you can do more than just cover your liquor bottles. You can say “bye” to fruit flies with Fly-Bye as your defense against fruit flies.